Just wanted to send out a reminder about the No Reservations – Azores episode which airs on Monday, January 26 at 10pm EST on the Travel Channel. Having worked in kitchens alongside many generations of Azorean Portuguese immigrants, Tony decides it’s time to find out more about their motherland and explore the culture that molded so much of New England’s heritage. He hops from one island to the next while on the archipelago, dining on potatoes, pork, sausage, cabbage, shellfish, Portuguese soup and washing it all down with Gin and Tonics. 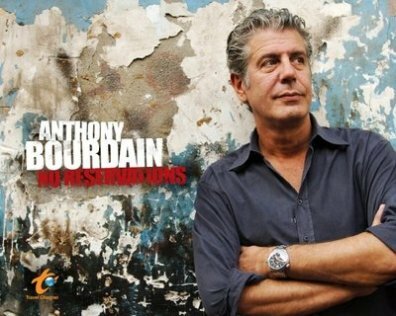 “This unforgettable and terribly sad episode of the normally high-spirited travel-food show came out of Bourdain’s visit to Lebanon last July.” The Sydney Morning Herald has the full story on this momentous episode of Anthony Bourdain: No Reservations. Les Halles, New York – Closed? Ever since the ray of sunshine first touched Anthony Bourdain’s skin the day he was born, his parents new their child is geared up for a big future. His academic and professional achievements stand proof to this assessment, however his best work is witnessed when he’s on his element – the kitchen. 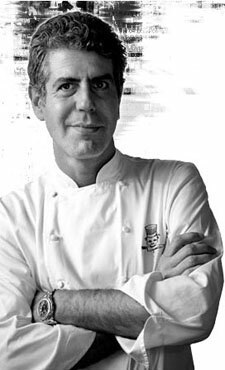 Bourdain exposed the dark secrets of New York City restaurant through his Don’t Eat Before Reading This piece and since then, he’s been considered an icon in the world of culinary arts. This popularity has sparked Bourdain’s numerous eating adventures all over the globe. He was even able to push his book A Cook’s Tour In Search of the Perfect Meal into the best sellers list all over the United Kingdom and the United States. His latest project, Les Halles Cookbook: Strategies, Recipes, and Techniques of Classic Bistro Cooking contains the best cooking secrets and recipes from all over the world. Demand for the recipes in this book has made his publishers consider distributing them through mobile phones. Powells.com interviews Tony about his latest book, The Nasty Bits: Collected Varietal Cuts, Useable Trim, Scraps, and Bones . Check out the full interview here. Tony goes unplugged and uncut at the South Beach Wine & Food Festival.